Actility is pleased to announce today that Thailand’s CAT Telecom has selected the ThingPark Wireless LPWA connectivity platform to power a national IoT communication network rollout across the country. 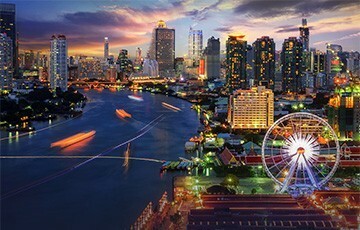 The deployment will begin with a smart city solution for Phuket, soon to be followed by Bangkok. Actility is partnered with local system integrator and communication network specialist Teo Hong Silom Group to support the deployment and scale-up of the network. “We are excited and inspired by being a part of this project. We are confident and ready to deliver innovative solutions to CAT Telecom, to stimulate IoT activities and benefit everyone nationwide”. CAT has also launched a ‘LoRaWAN IoT by CAT’ platform to support the commercial sector in developing and innovative industrial IoT services. Currently the company is testing a tracking service combining GPS and IoT communications enabling cars, motorbikes, dump trucks and coaches to be tracked across the province. In Phuket the service is supporting tourism, with a speed-boat businesses deploying the tracking technology to ensure the safety of their customers by installing trackers on their boats and providing tracking wristbands for their customers. CAT is also working with its alliance partners to support the smart tourism campaign through the Smart Phuket 4.0 mobile application, ‘Beacon’ devices that accurately inform tourists and foreigners in the province about product deals and tourist attractions, and ‘Digital Signage’ locating restaurants, tourist spots, accommodation, hospitals and the locations of key governmental offices.